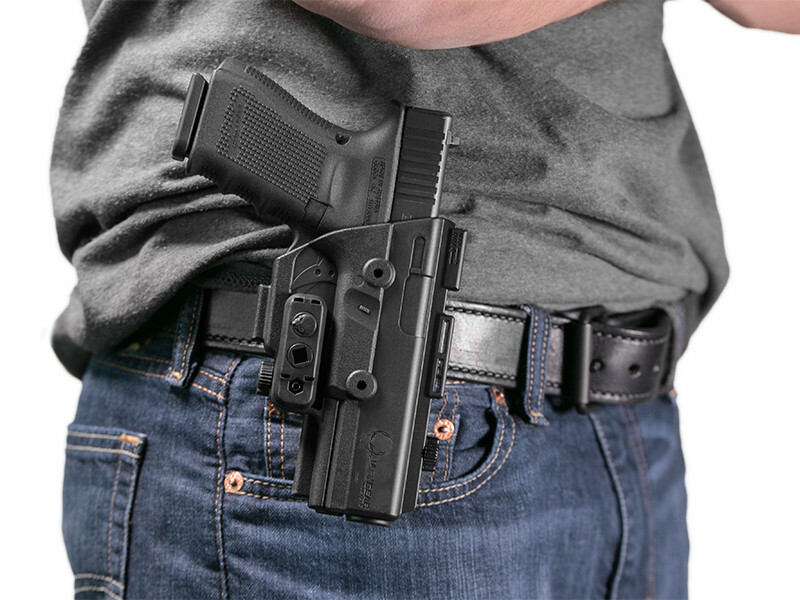 This outside-the-waistband holster is fully compatible with the entire ShapeShift Modular Holster System, allowing you to effortlessly shift from one carry method to the next to suit your lifestyle. 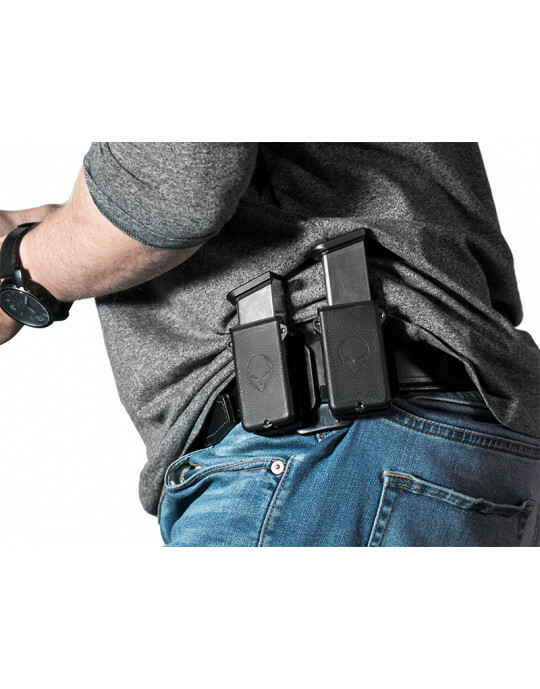 With just the push of a button, this holster can be transferred from your waistband to a nearby surface, backpack or thigh holster. The ShapeShift OWB Paddle Holster puts an emphasis on safety and stability. The paddle attachment hooks securely to your waistband and is made with a durable material that will maintain its rigidity over time. 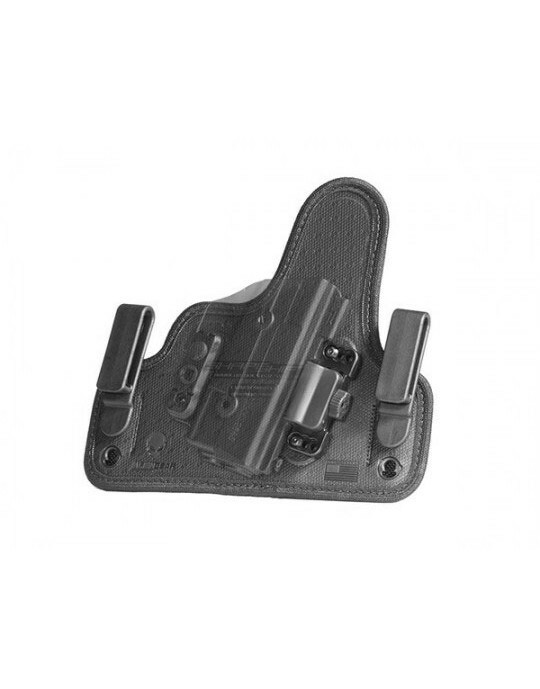 A retention lip keeps the paddle firmly in place and will prevent the holster from being forcefully removed. 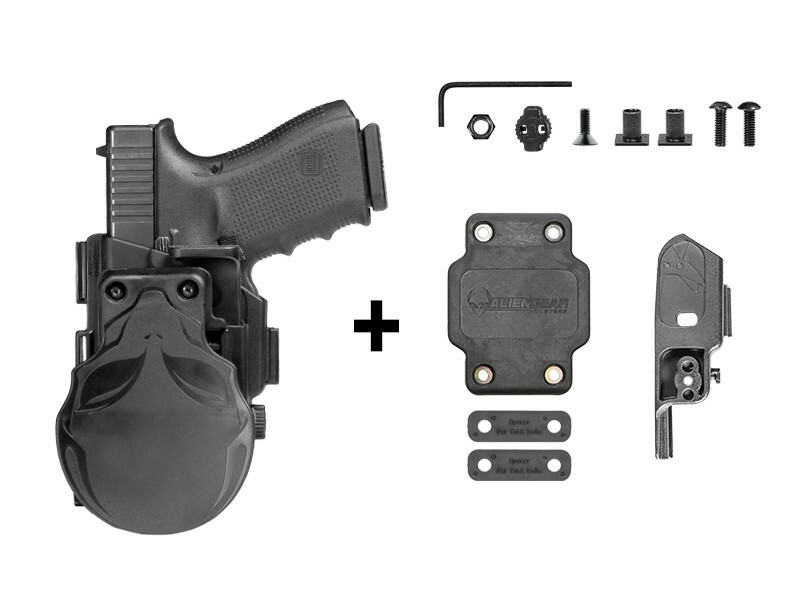 Our team took extra precautions with the design of the ShapeShift OWB Paddle Holster, making sure the Shift Shell, the hard shell that contains the firearm, fully covers and protects your firearm’s trigger in every configuration. Once we perfected the safety features, we focused on making a comfortable, customizable OWB paddle holster. 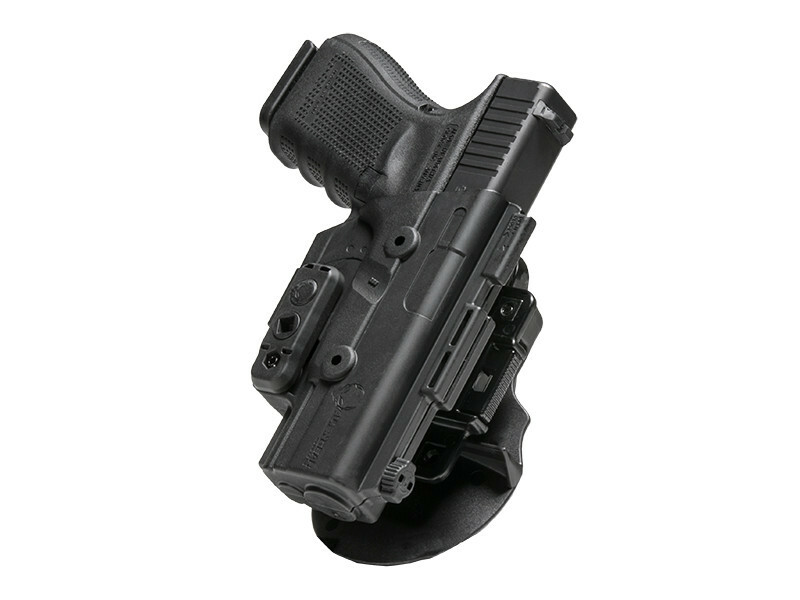 This incredibly modular OWB holster features a fully adjustable retention bump, and a thumb release. Mix and match these customizable retention devices to achieve the perfect draw. 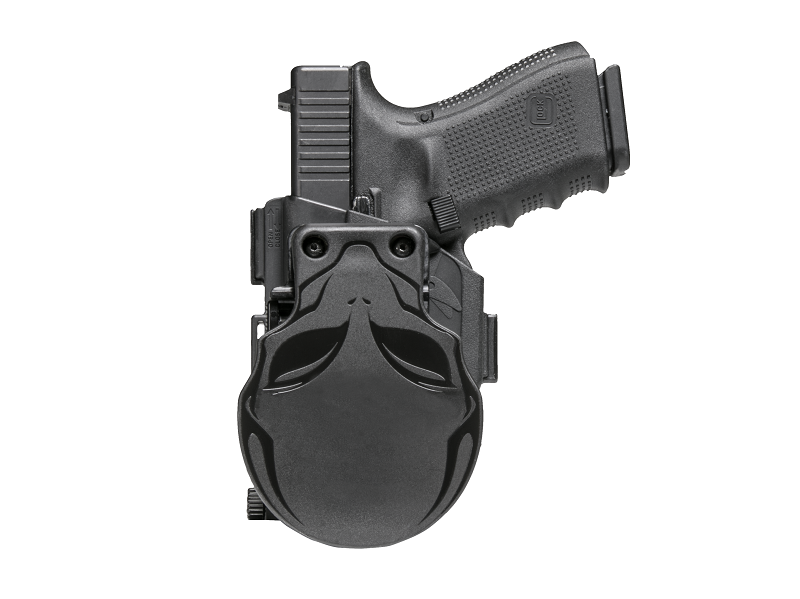 This unique paddle holster gives diversity in its options, allowing the user to adjust their cant in 12-degree increments, up to 360 degrees. 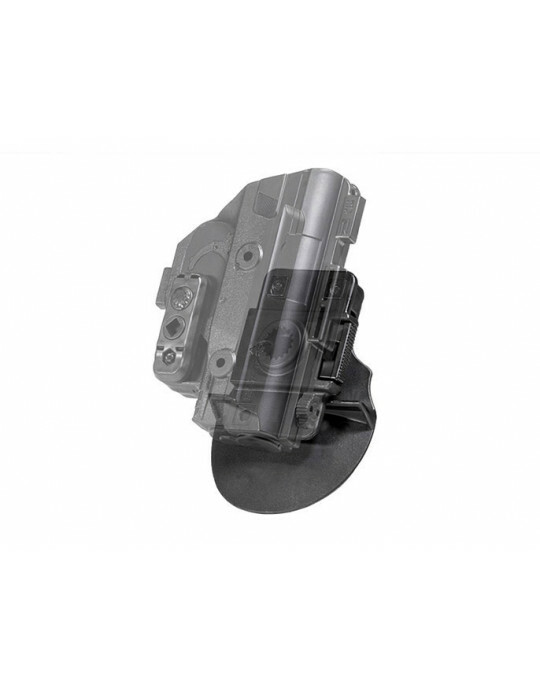 While Alien Gear Holsters concentrated on function of the ShapeShift OWB Paddle Holster, its overall appearance is sleek and aesthetically pleasing. 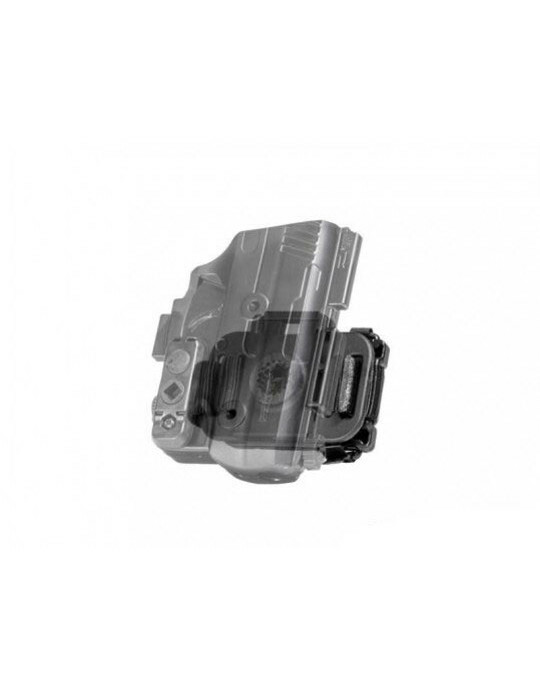 The Shift Shell is injection molded, giving a detailed, 3-D appearance. Alien Gear Holsters is proud to be an American-made company; all products are crafted in the Inland Northwest. 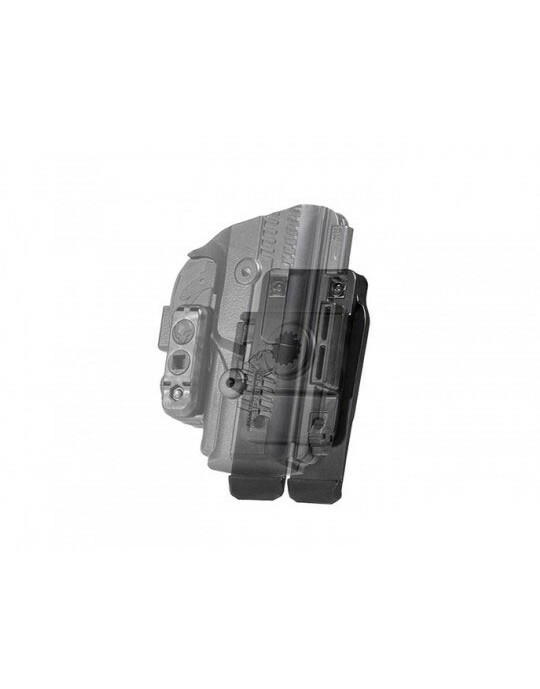 Carriers can also have peace of mind knowing that the ShapeShift OWB Paddle Holster and its corresponding ShapeShift Holsters are covered by a Forever Warranty and a 30-Day Test Drive. 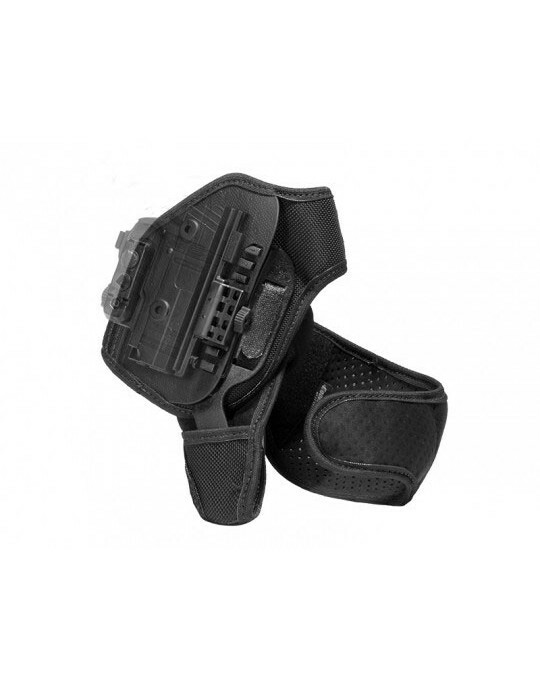 This holster is so convenient to attach to a no belt waistband. As a woman, it has always been a challenge to find something that would easy and efficient to use. 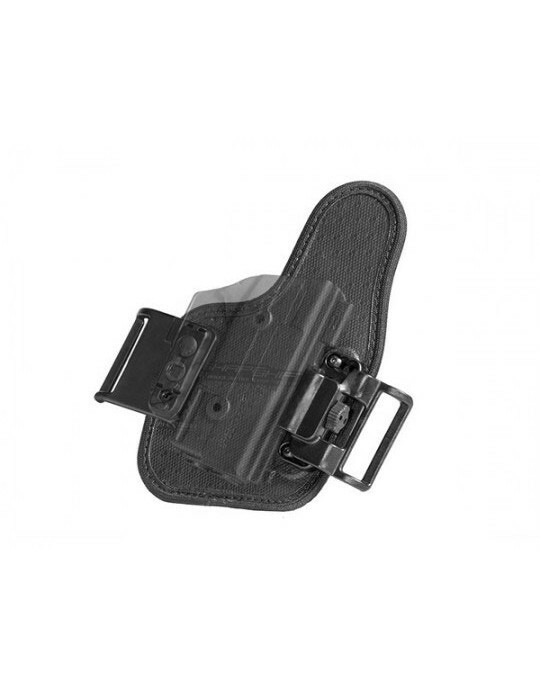 This holster has two wear options, with a belt or without a belt that it is now shared with hubby too!